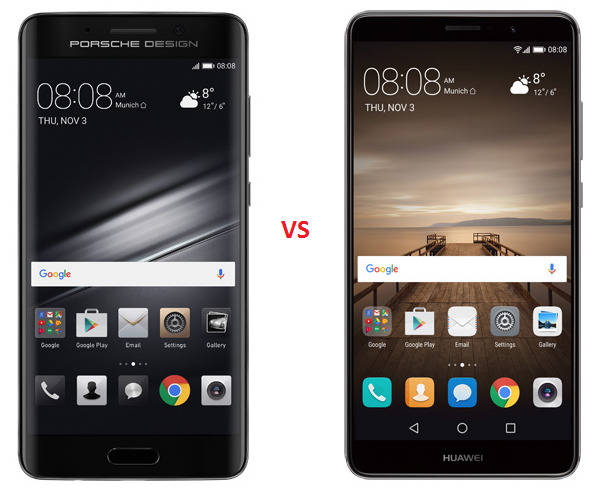 The Huawei Mate 9 and the Mate 9 Porsche Design are both official - They are the company's most sleekest and powerful phone currently and also, the first Huawei phones to run the brand new Kirin 960 processor and Android 7.0 Operating System, which features a super fast boatload of powerful cores and ARM's new Mali-G71 GPU, alongside Huawei's own i6 co-processor. There are some notable difference between the two brand new device from Huawei, but they seem to have man things is common like both running on Android 7, the camera setup, which features two sensors on the back, one of 20MP monochrome and the other of 12MP RGB. The table below shows the Specification difference and similarities between them.